I think we have much to learn about frugality when it comes to the Depression Era. People had a much rougher time surviving than we are now, and that brings me to another thing. What we are experiencing now is not a Depression, it's a Recession. Times are not nearly as tough as they were then but they are bad enough if you're the one out of a job. We can still though take some cues from those times and learn how to adjust our lives. First, if you have a yard you can have a vegetable garden. Seeds are cheap and a garden isn't as demanding as it may seem. People back then grew many vegetables depending on the space available to them but I would concentrate on simple things first, Tomatoes, Paste Tomatoes (San Marzano), Eggplant, Squash, Peppers, Pickling Cucumbers and lettuces/greens are great. Now you have your garden so learn how to can with Mason jars and a hot water bath canner. You can only do acid or sweet foods with this method so canning green beans is out but pickles, jams, jellies and tomato sauce or canned whole tomatoes are all safe. It is much better to can than freeze because once canned, a product requires no further electricity for storage. You can also learn how to lacto-ferment pickles but this is an acquired taste. If you've ever had half-sour pickles then you know the flavor. With your own vegetable garden you can augment what you buy from the store and make any number of simple dishes that are both filling and dare I say it, more nutritious than what we commonly eat today. So what about meat? Meat was and still is expensive. In the Depression Era, beef if eaten was commonly ground beef or flank steak. They ate very little in the way of meat and replaced the protein with things like bean, eggs and peanut butter. The majority of the diet consisted of bread (home baked), pasta augmented with various canned vegetables, beans, rice and varying by region, corn products. 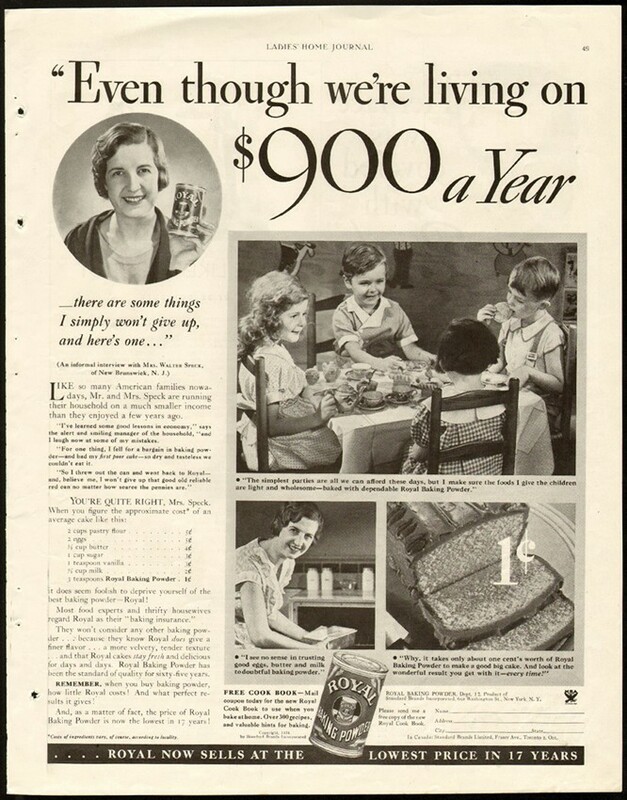 In the coming months I'm going to start touching on some Depression Era meals that are both inexpensive and filling. It's a long process to bring these to the light of day but a worthy one I believe. If you have any family meals that are from the Depression I'd be interested to hear about them and if I feature the recipe all credit will be given to the owner.